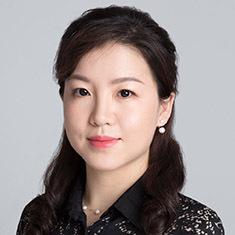 Min Li is an associate in our Shanghai office and focuses her practice in the areas of commercial and corporate law. She has extensive experience working with clients to establish representative offices, wholly foreign-owned enterprise subsidiaries, joint ventures and other business operations in China, and advising on various intellectual property matters in China. She has also assisted many Chinese companies in setting up their operations in the United States. Min is qualified as a Chinese lawyer. She previously worked for a law firm in Shanghai for several years before joining Katten. Shown below is a selection of Min’s engagements.